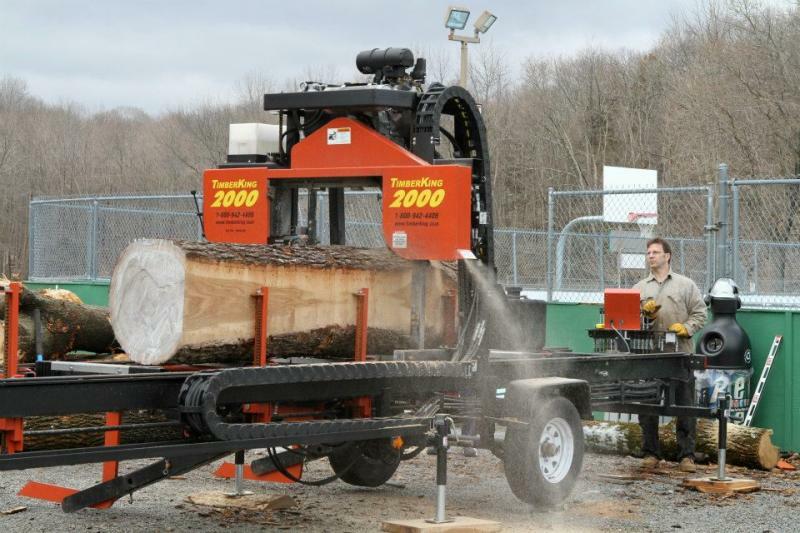 Mobile Sawmill NJ - Professional, High Production portable Sawmill service We own and operate a TimberKing 2000 portable and completely mobile Sawmill to process your logs or downed trees into usable lumber. We also provide milled lumber cut to your specifications. We specialize in "live edge" slabs, including highly prized 'crotch' slabs, for your woodworking projects. We own and operate a TimberKing 2000 portable and completely mobile Sawmill to process your logs or downed trees into usable lumber. We also provide milled lumber cut to your specifications. We specialize in "live edge" slabs, including highly prized 'crotch' slabs, for your woodworking projects. Just about any sawmill service can take a log and turn it into lumber. The service we provide is so much more than that. We are truly a custom, consultative service that will discuss at length your needs and desires, and in many cases, help you formulate a plan for your projects, all prior to blade touching wood. We also help guide you in methods of marketing your finished product for the best possible return on your investment. Knowing how to run a saw is obviously important, but knowing WHAT to cut, and how to cut for the best possible yield, is paramount to a good ROI. We are the industry-leading experts in that department. After an in-depth conversation and analysis of your particular situation, we will come to your location and assess what we find, in the context of our prior conversations. We then make final recommendations on dimensions, possible uses, and drying/ storage methods before cutting your logs into usable lumber, slabs and beams. As part of our value-added services, all our clients receive lifetime free access to us for questions, guidance, and further consultation with regard to drying, marketing, pricing, or any other issue or topic that may come up regarding their wood. We also have lumber in stock, and can cut to order to suit your needs. "Live Edge" slabs for tables, headboards, etc. If you don't see it here, just call us. We pride ourselves on providing exemplary service, a pleasant, informed conversation, and fair, honest work, from initial contact right through to job completion. So call and speak to us or email with your specific needs. Service Area includes New Jersey, New York, Pennsylvania, and Connecticut. Other areas considered on a case by case basis.